If you need a few extra stocking fillers, a budget of £25 is perfect – it’s the sweet spot for finding things that are both genuinely useful and not bank-breakingly expensive. But there’s so much choice it might be difficult to pick – which is why we’ve made this list. Pretty much all cars have a radio – but only more recent vehicles come with Bluetooth. 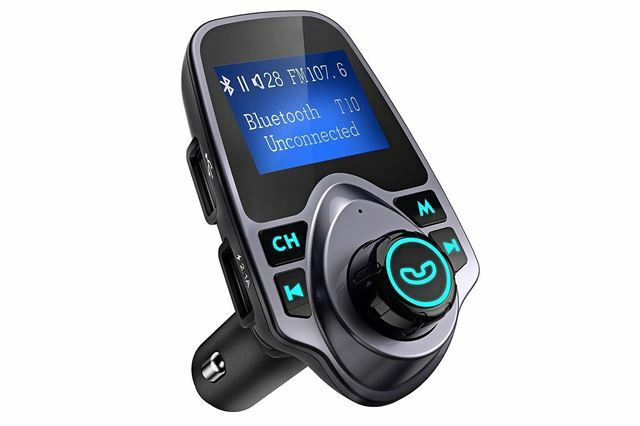 This device fixes the problem, pairing to a phone via Bluetooth and then transmitting to the car radio via your chosen FM frequency. Simple, cheap and effective, it’s handy for those with an older car. It enables music streaming via apps like Spotify or iTunes, with buttons to skip tracks, plus it has handsfree call functionality. It's powered by a 12v accessory socket, but it has two USB ports so you can charge your phone or nav when it’s plugged in. Sure, it’s not the most gorgeous-looking, slick gadget, but for the price it’s great.